Children ages 7-15 are invited to join CSA Children’s Choir Director and NIU Professor Mary Lynn Doherty for a great year of music and fun. Challenging and varied repertoire from all over the world inspires students who love to sing. Placement auditions are required for all new and returning choir members and are being held on Wednesday, Aug. 31, for children ages 7-15, at the Music Building 132. Parents can call Kristin at 815-753-1450 to choose a placement audition time. 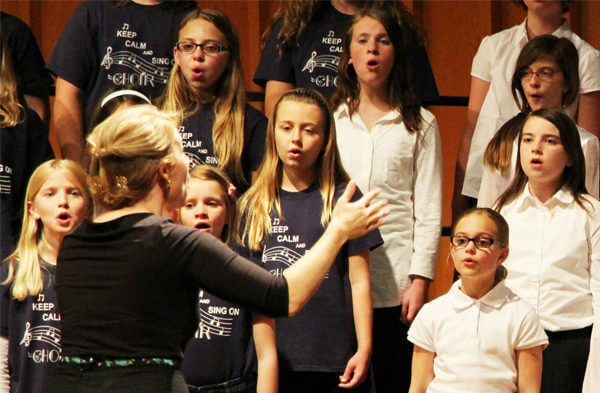 The CSA Children’s Choir is a wonderful opportunity for children to learn to sing and develop musical skills by studying and performing high-quality choral music of different genres. Rehearsals are high energy and fast paced. The choir serves as an extension to area choral programs, fostering a high level of musical and personal achievement through the choral music experience. The rehearsal schedule starts on Sept. 7 and covers 28 Wednesdays, through to May 10. There are no rehearsals on Nov. 23, Dec. 14 – Jan. 11 or March 15. Final rehearsal in the fall is Dec. 7; rehearsals resume in 2017 on Jan. 18. All rehearsals will be from 4:45 p.m. – 6:15 p.m, in room 171 at the Music Building. Come to a picnic on the second-night rehearsal on Sept. 14, at 6 p.m., in Annie’s Woods, weather permitting, or in the Concert Hall lobby. Interested? Stop by the Music Building to register or visit csa.niu.edu to register online. To learn more about the Children’s Choir, visit niu.edu/extprograms/csa/ensembles/choral.